The two annual gatherings of the Seminary Guild have a dramatic impact on the seminary community. The students are surprised and uplifted by the level of love and support they witness from this faithful group of supporters that each year approaches 1000 members. 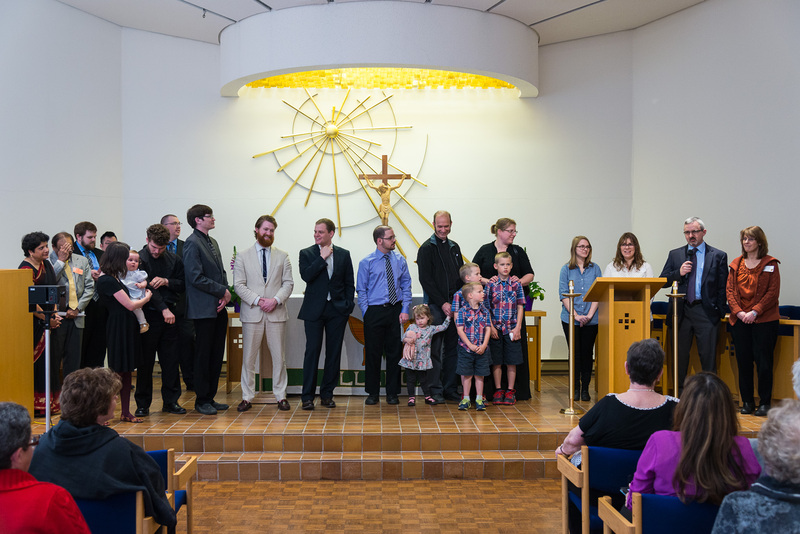 And the Guild blesses the seminary with a range of annual projects that are funded by those $5 memberships. 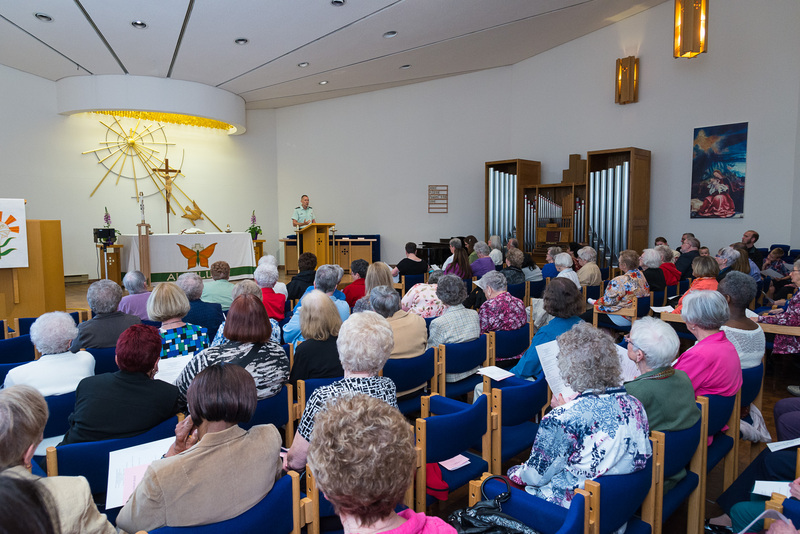 On Saturday, 18 April 2015, more than 110 Guild members and guests gathered in the seminary’s Martin Luther chapel for business, hymn-singing, worship, and edification, followed by the beloved catered lunch with the students. In this year’s business, the Guild heard that their project of refurbishing furniture was complete. They adopted as a new project the purchase of visitation Communion sets with a miniature chalice, to be given to each pastoral graduate. Such projects accompany the regular gifts of grocery cards, food pantry provisions, and such work as an annual cleaning of the student kitchen! The special guest speaker was CLTS alumnus Rev. Dr (Capt.) Harold Ristau, chaplain in the Canadian Armed Forces, and currently the Standards Officer at Canadian Forces Chaplain School and Centre at CFB Borden. Dr Ristau spoke of the front line work of chaplains as mission work in which he is able to give soldiers a divine perspective on their vital work, comfort them with the Gospel, pray for and with them, hear their confession and absolve them. 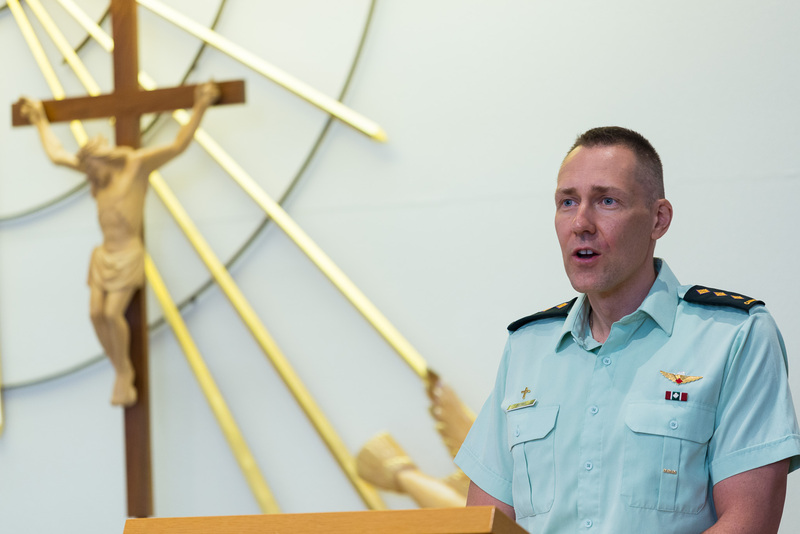 He noted that Lutheran Church–Canada has an increasing number of chaplains in the regular forces and reserves, with 15 now serving. Chaplain Ristau has published a memoir of his work in Afghanistan, At Peace with War (if you purchase it from Amazon, please use our Canadian or American link). After the presentation, the gathered guests had the usual pleasure of meeting the students and their families. More pictures of the day are available here.